"NBC Nightly News" anchor Brian Williams is being suspended for six months without pay following revelations that he exaggerated tales from an Iraq War mission in 2003. Tuesday night's announcement capped an extraordinary and painful six-day period for the network. Television veterans could recall nothing quite like it: a network benching the face of its news division to penalize him for what the CEO of NBCUniversal, Steve Burke, called "inexcusable" actions. There is a widespread belief among rank-and-file NBC staffers that he may never actually return to the anchor chair he has held since 2004. And if he does return, he'll return in a diminished capacity. Meanwhile, NBC's investigative unit is continuing to fact-check Williams' past reports, and could come up with more damaging revelations. Still, Burke said in a statement, "He deserves a second chance and we are rooting for him. Brian has shared his deep remorse with me and he is committed to winning back everyone's trust." Eight hours earlier, Williams visited Burke at the apartment Burke has on Central Park West in Manhattan. There, Tuesday evening's announcement began to take shape. NBC News president Deborah Turness informed staffers of the network's suspension decision at a 7:15 p.m. meeting, held minutes after Williams' fill-in, Lester Holt, finished anchoring Tuesday's "NBC Nightly News." "The suspension will be without pay and is effective immediately," Turness wrote in a memo. Holt will continue to substitute-anchor the "Nightly News." An NBC source said Williams' name would likely be removed from the newscast's graphics later this week. One rival executive speculated that NBC, by suspending Williams, was simply "buying time for more negotiations" that might lead to the anchor's exit. Others, however, said it was quite possible he would stay put. Within NBC News, shock about the announcement gave way to sadness and a general agreement that the news division is in the midst of its toughest period since the early 1990s, when journalistic lapses like a staged car accident for "Dateline" spurred soul-searching and management changes. "I feel like I have just witnessed a sudden death," one longtime NBC News staffer said on condition of anonymity. One NBC anchor called it "humiliating for this whole network." Williams was, at least until last week, the single most popular news anchor in the United States. He reached about 10 million viewers a night. Just in December, NBC signed him to a new contract. Several rival executives, speaking anonymously, said there was no joy to be had in Williams' befalling. "Inside Edition" host Deborah Norville said much the same thing on "CNN Tonight." "There is no delight to be taken in this," Norville said, calling the blow to Williams' credibility "also a blow for journalism." 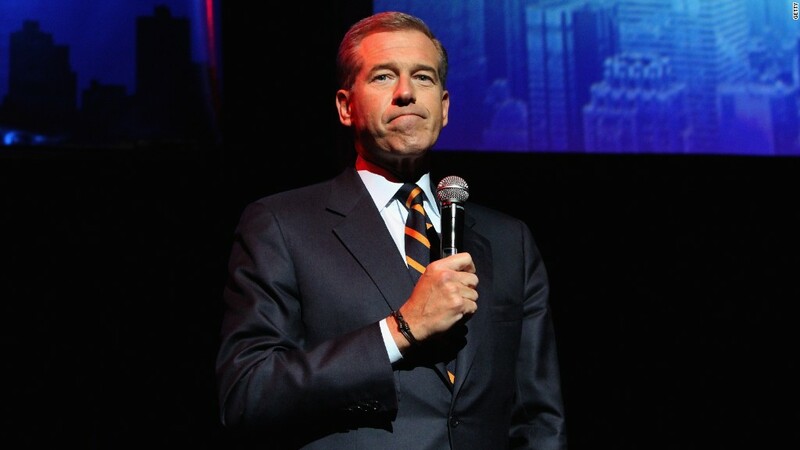 For NBC News, the rolling calamity began last month when Williams paid tribute on his newscast to a soldier who had provided security to the anchor and his NBC crew in the desert on that day in 2003. "The story actually started with a terrible moment a dozen years back during the invasion of Iraq when the helicopter we were traveling in was forced down after being hit by an R.P.G," Williams said on-air. "Our traveling NBC News team was rescued, surrounded and kept alive by an armor mechanized platoon from the U.S. Army 3rd Infantry." After a video of the segment was posted by the network on Facebook, several soldiers called out Williams for stretching the truth. Williams, it turned out, had not been on the helicopter that was hit by an R.P.G. Williams apologized last Wednesday, both on Facebook and on "Nightly News," but what he said raised more questions than answers, and the controversy swelled over the next three days. As skepticism mounted over Williams' claims about other reporting assignments -- namely his coverage of Hurricane Katrina in 2005 -- NBC News said Friday that it would conduct an internal investigation into the disputed accounts. 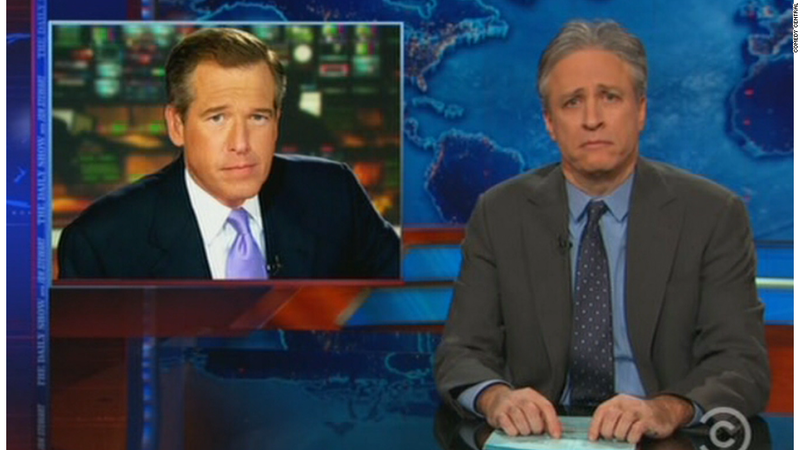 Williams was once again in the anchor chair that night. By Monday, his attorney was in crisis meetings at 30 Rockefeller Center, where Williams' posters -- celebrating his first-place status in the nightly news wars -- hang on the walls. Those meetings continued on Tuesday and ended with the suspension announcement. On NBC's cable news channel MSNBC, Rachel Maddow covered the breaking news and told her viewers that "NBC News will not make anyone available to discuss this story with us on the air." Over on Fox News, there were messages of support for Williams. Senior political analyst Brit Hume, a friend of Williams, told Megyn Kelly he hopes the embattled anchor pulls through this. "I really like the guy, and I feel terrible for him tonight," Hume said. "I think you speak for a lot of us," Kelly said. The scribe who broke the news of Williams' recanted Iraq story last week said he wasn't celebrating the suspension. "I don't get any satisfaction from seeing Brian Williams suspended," Stars and Stripes reporter Travis Tritten wrote on Twitter. "Like the vets I spoke with, I just wanted to set the record straight."